What just happened? 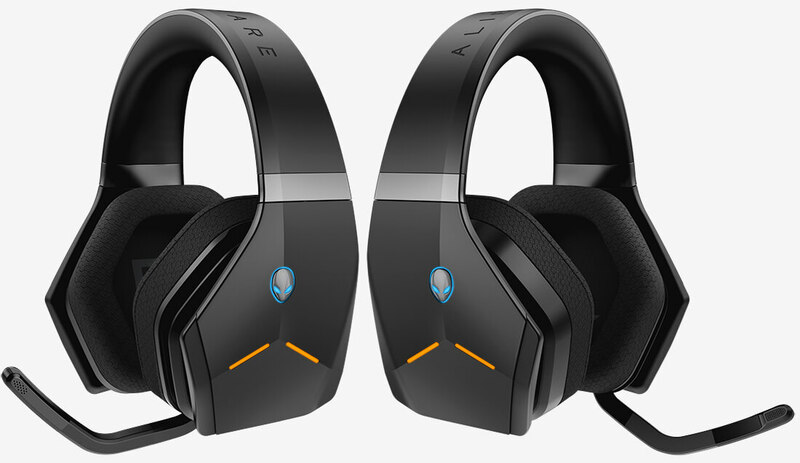 Dell's gaming subsidiary ahead of the annual E3 trade show has unveiled its first wireless headset (and the company’s first headset in general since the Alienware TactX launched in 2009). At this price point, though, Alienware is batting in the big leagues. Officially known as the Alienware Wireless Gaming Headset, the accessory offers 7.1 virtual surround sound via high fidelity 40mm neodymium drivers over a frequency response of 20Hz to 20KHz. You also get a noise-cancelling microphone on a swivel that activates automatically as it is moved into position and AlienFX lighting with two zones and 6.8 million colors to choose from. The over-ear design features lightweight sport mesh cushions with moisture-wicking fabric. In wireless 2.4GHz mode using the included USB dongle, Alienware says you can expect up to 15 hours of battery life with the lighting system off and up to 8.7 hours with AlienFX activated. Should you prefer a wired connection, simply attach the included 3.5mm combo cable which adds in-line controls. The wireless dongle slots into the headset when not in use to lower the odds of misplacing it, an especially handy feature when traveling. The Alienware Wireless Elite gaming headset is set to arrive on June 11 priced at $229. That’s not exactly cheap in today’s competitive market and puts it in the same field as other proven providers like Astro, Razer and Sennheiser. We’ll reserve final judgment, however, until we get to have a listen.